Aphrodite. | quinquatrus.org | appareo decet nihil munditia? Pierre-Eugène-Emile Hébert’s Armed Venus at the National Gallery of Art. 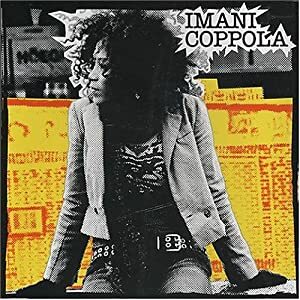 Bed-Stuy hip-hop violinist Imani Coppola sings about a woman with a ‘goddess complex’ who calls herself ‘Afrodite’ — a play on words, since the composer is African-American & styles her hair naturally. Her lyrics relate to seduction, sexual role play, & an apparently endless procession of empty conquests. She’s Love, she loves, & yet she is not lov’d.